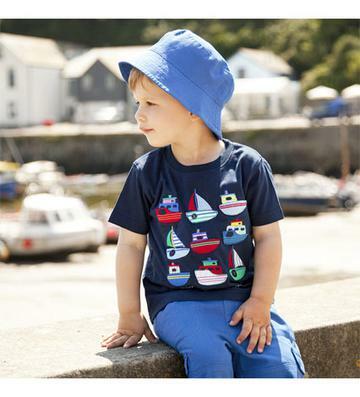 Every boy is going to want these awesome boats. These boats have lots of bright colors. The Blues, green, white, yellow and red make this 100% cotton t-shirt a summer favorite.